"The Home of AutoHotkey E-Books"
ComputorEdge E-Books specializes in AutoHotkey—absolutely the best, free software for automating any Windows computer. 1. Simple techniques for creating Windows Hotkeys (actions key combinations) and Hotstrings (automatic text correction and manipulation). 2. Easy to learn language whether an experienced programmer or a newbie. The best language for anyone who wants to learn to program. 3. A complete scripting language. While simple to get started with Hotkeys and Hotstrings, AutoHotkey represents an extensive programming language capable of supporting both quick pop-up utilities and more complex applications. For more information on AutoHotkey, see "Introduction to AutoHotkey: A Review and Guide for Beginners." 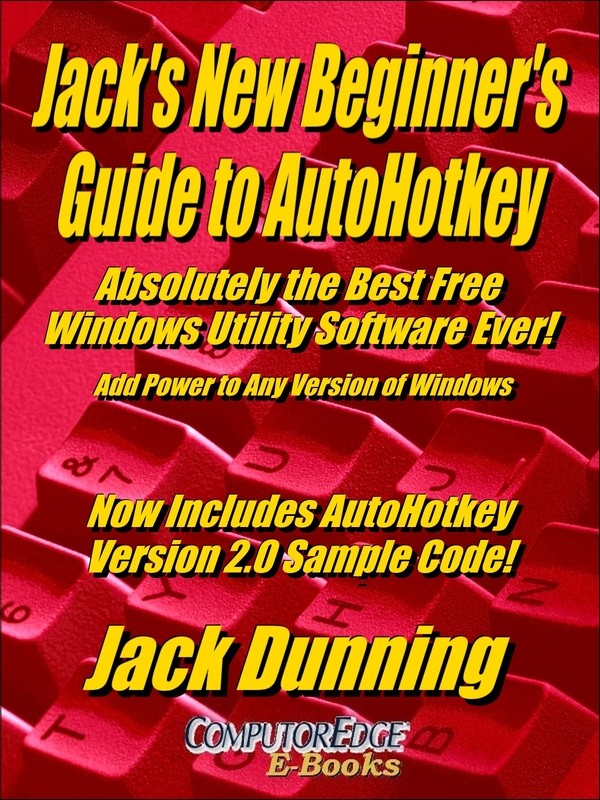 Also, download this free AutoHotkey book. We made these E-books available for reading on the iPad, NOOK, and other EPUB reading devices, as well as, in the MOBI format for the Amazon Kindle and PDF format for viewing and printing. Also, all of our e-books can be read on most (if not all) types of computers, tablets, and smartphones. We invite you to browse through our store and shop with confidence. Create an account or shop as a guest. Either way, your shopping cart will be active until you leave the store. If you are new to e-books and would like to learn more about how to download them to your e-reader or computer, then please see this ComputorEdge article "How to Download and Read E-books." If you run into any problems while downloading our books, please contact us. 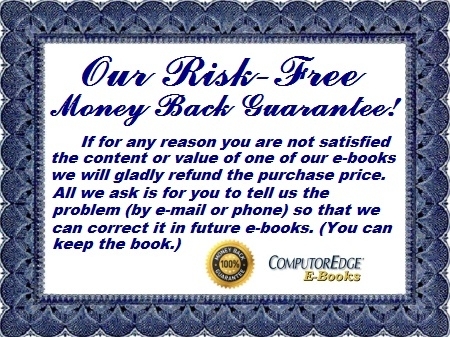 ComputorEdge E-Books is an affiliate of ComputorEdge Magazine. Get These AutoHotkey Book Bundles at a Very Special Price! For your convenience, AutoHotkey e-book titles have been bundled at a special price for EPUB files (iPad and Android), MOBI (Amazon Kindle), and PDF for printing a reference notebook. For your convenience e-book titles have been bundled (many at a special price) to make locating and ordering them easier. Tips and tricks e-books written to help users of Microsoft Windows operating system navigate their computers. Available in both the popular EPUB format (iPad, Nook, etc.) and the MOBI format (Amazon Kindle). Humorous e-books with articles, jokes, funny stories, or cartoons about computers and the Internet. E-Books formatted for reading with iPad, NOOK, Kobo, your computer and other common e-book readers. E-Books formatted for reading with Amazon's Kindle. E-Books formatted for and placing in a standard looseleaf notebook…or reading on any computer or device. If you find Jack's AutoHotkey Blog valuable and would like to support his efforts. please contribute to the cause. Don't know what books or which format is best for you? Get these beginning books at one special price! All Starter AutoHotkey books! All three e-book formats! In this Essentials Bundle, you get both the Starter and Intermediate Bundles at one special price! To add the Motley AutoHotkey Tips book, see the Library Mega Bundle. Don't know what books or which format is best for you? Get the next level at one special price! All intermediate level AutoHotkey books! All three e-book formats! Don't know what books or which format is best for you? Get everything at one special price! All 10 AutoHotkey books! All three e-book formats! 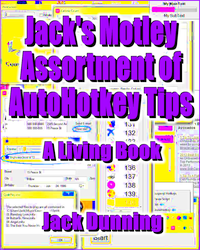 This first edition of Jack's Motley Assortment of AutoHotkey Tips includes more than 80 chapters of AutoHotkey tips, tricks, and techniques. But, that only reflects the starting point for this Living Book. 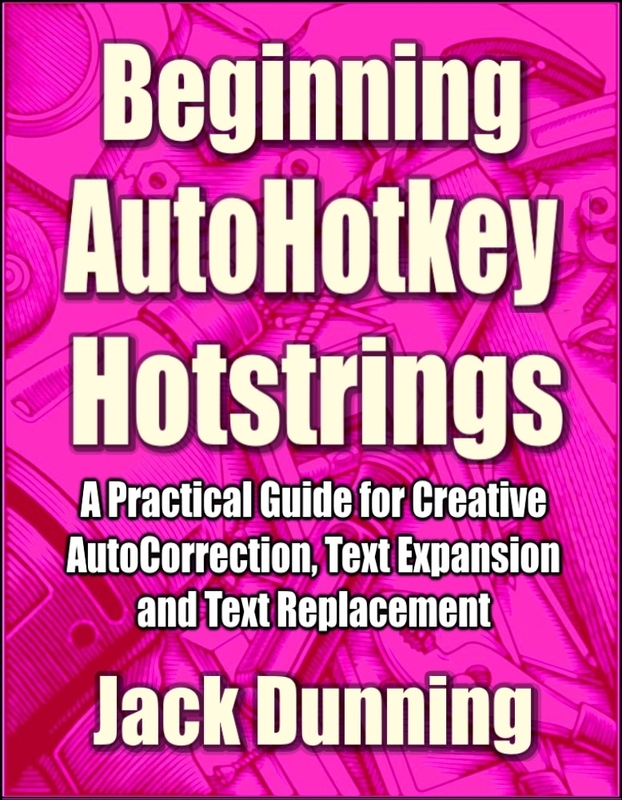 Jack's New Beginner's Guide to AutoHotkey! Includes Parallel Sample Code for the New Version 2.0! Understanding How AutoHotkey Works and Designing Robust Applications (EPUB format for iPad, Android, and computers) "As a new AutoHotkey scriptwriter, this may be the most important book you can read." Understanding How AutoHotkey Works and Designing Robust Applications (MOBI for Amazon Kindle) "As a new AutoHotkey scriptwriter, this may be the most important book you can read." 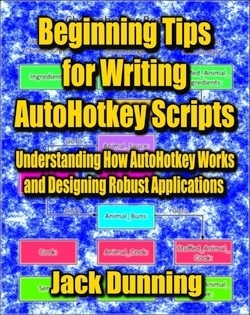 Understanding How AutoHotkey Works and Designing Robust Applications (PDF format for printing) "As a new AutoHotkey scriptwriter, this may be the most important book you can read." 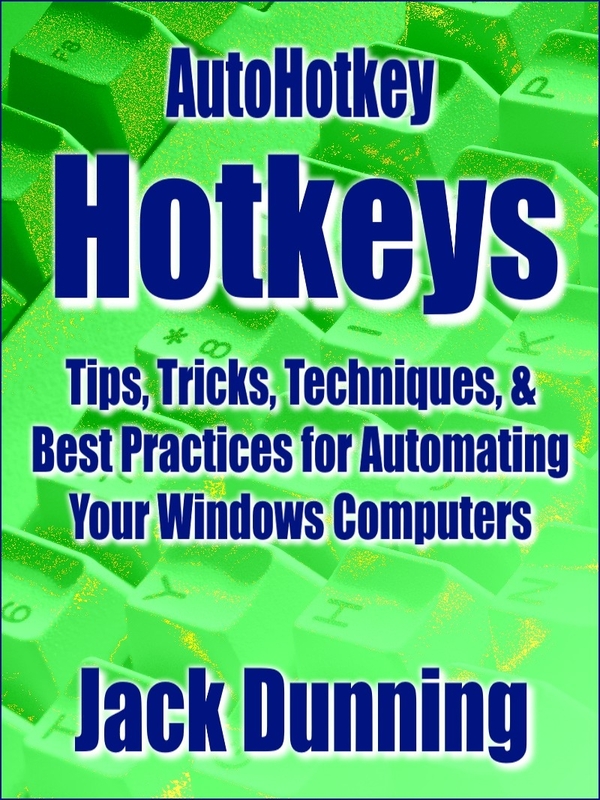 This E-Book Tells You, If You Do Nothing Else, You Should Be Doing These Things with AutoHotkey on Your Windows Computer. 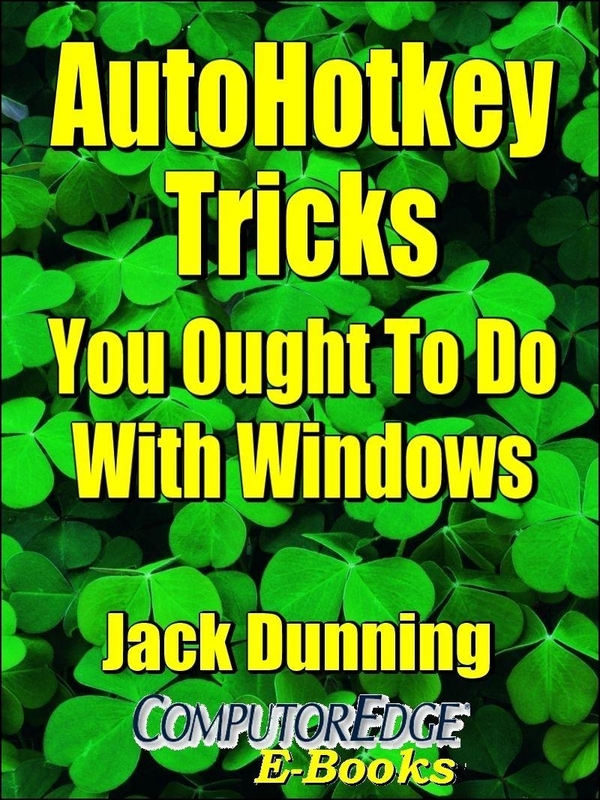 This E-Book in Amazon Kindle format Tells You, If You Do Nothing Else, You Should Be Doing These Things with AutoHotkey on Your Windows Computer. This E-Book in PDF Format for Printing Tells You That If You Do Nothing Else, You Should Be Doing These Things with AutoHotkey on Your Windows Computer.